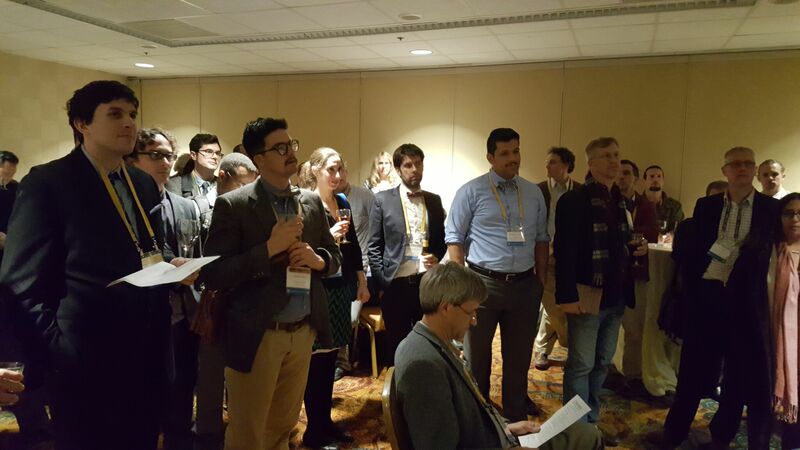 Around 100 colleagues attended the 5th Enoch Reception at the SBL Meeting in San Antonio. With Vice-Directors Kelley Coblentz Bautch and Loren Stuckenbruck were Isaac Oliver de Oliveira, Jim Davila, Robert Kraft, Lorenzo DiTommaso, Pierluigi Piovanelli, James McGrath, Anders Petersen, Matthias Henze, Ida Froehlich, Mark Nanos, Liv Lied, Timothy Sailors, William Campbell, Kathy Ehrensperger, Jonathan Kaplan, William Schniedewind, Charles Gieschen, Ben Reynolds, Shayna Sheinfeld, Ziony Zevit, Robert Foster, Andrew Higginbotham, and many others. Old and new friends gathered to summarize the 2016 meetings and hear about the 2017 meetings and the most recent publications. The Enoch Seminar Reception has confirmed to be a very popular and important annual event in the life of our association. A special thank-you goes to the organizer of this year’s event, Joshua Scott, who did a splendid job. The Enoch Seminar is proud to count on such brilliant collaborators! 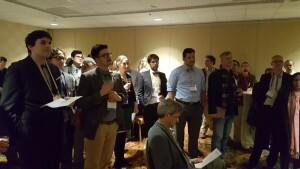 The 5th Enoch Seminar Reception took place at the Conference Room 4 at the Marriott Rivercenter in San Antonio, Texas (8:30-9:30pm; Saturday, Nov 19, 2016).